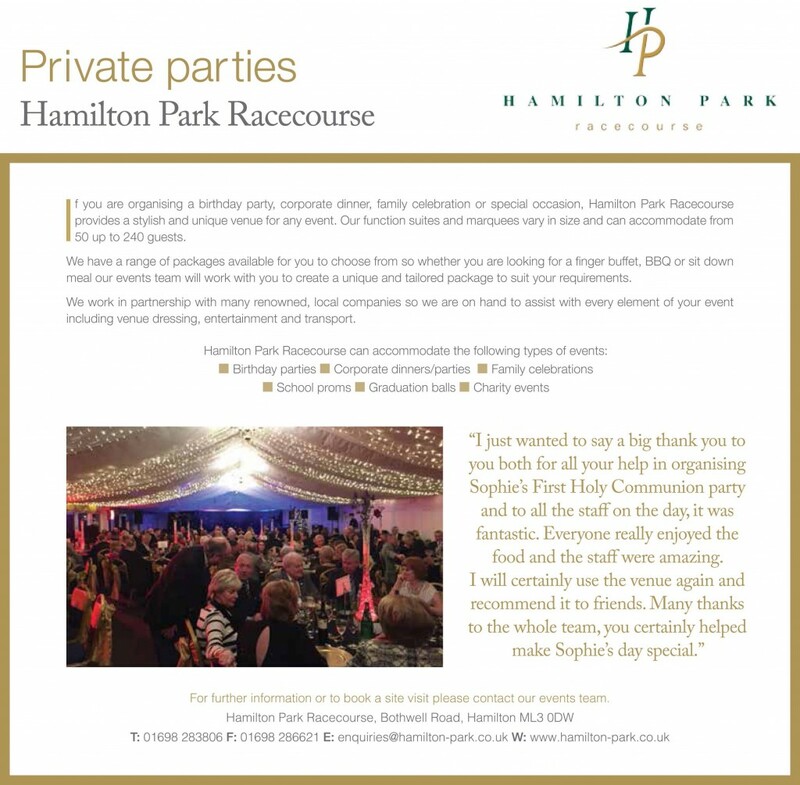 If you’re organising a birthday party, corporate dinner, family celebration or special occasion, Hamilton Park Racecourse provides a stylish and unique venue for any event. 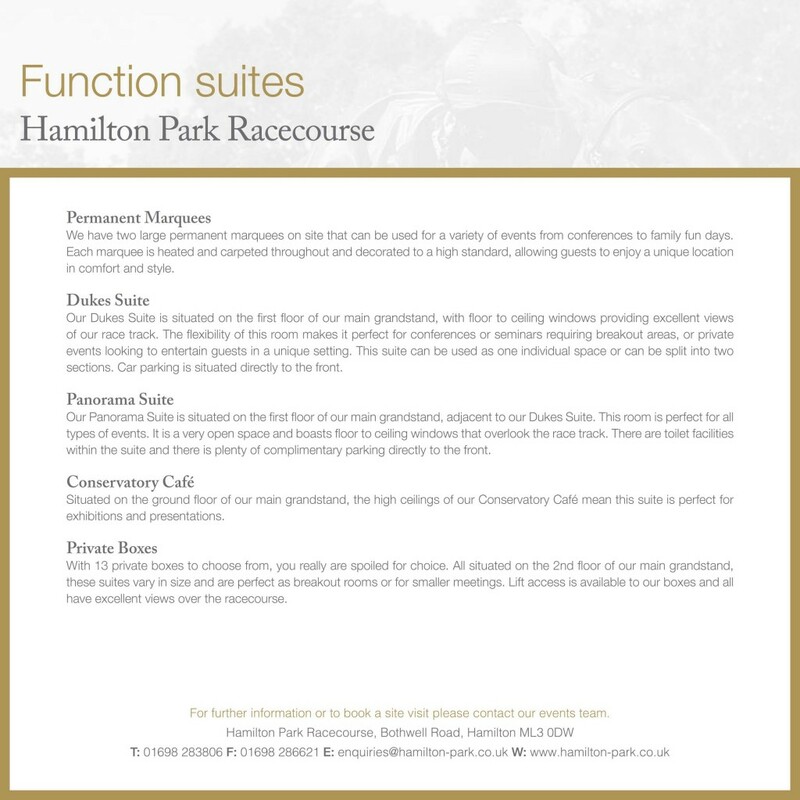 Our function suites and marquees vary in size and can accommodate from 50 up to 300 guests. 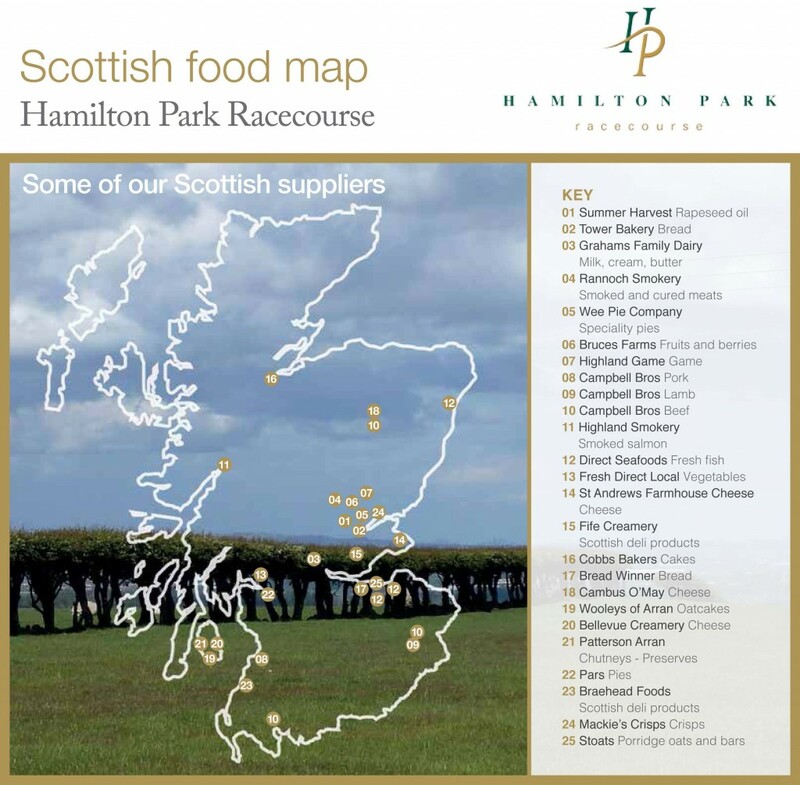 We have a range of packages available for you to choose from. Whether you’re looking for a finger buffet, BBQ or sit down meal our events team will work with you to create a unique and tailored package to suit your requirements. Please click on image below for further information or take a virtual tour of our rooms.